This morning I really wanted crêpes, and I got up and discovered we’re out of flour. But we have oats! So we had oat crêpes, and now are so full. They’re the easiest things ever to make, and if you whip the batter up the night before and stick it in the fridge, they’re even better. Fill them with whatever you like; I made a purée of yams, orange zest and juice, and spices. This time of year, applesauce would also be really fantastic, or a compote of this summer’s berries. 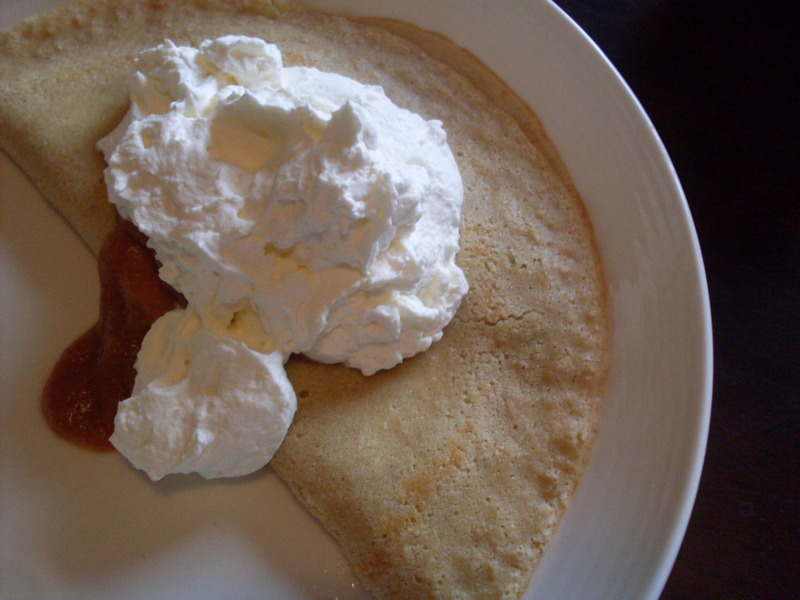 And then, of course, top with whipped cream. In a blender, combine oats, eggs, milk, butter, and sugar. Purée until smooth. Refrigerate 30 minutes, or overnight. Over medium heat, melt a small amount of butter in a nonstick pan, rolling the pan to coat the whole cooking surface. Pour an eighth of the batter into the pan, rolling again to coat surface in batter, and cook until the surface of the crêpe loses its sheen, about two minutes. Flip gently, and cook for another minute. I butter the pan once for two crêpes, but use your best judgment. Keep cooked crêpes in a warmed oven until all crêpes are ready to be served. < Previous I’ve had enough winter now. Next > Cauliflower macaroni and cheese. Seriously, those look wonderful. I am mental for oats. I thought it was a toffee sauce when I first saw the picture. 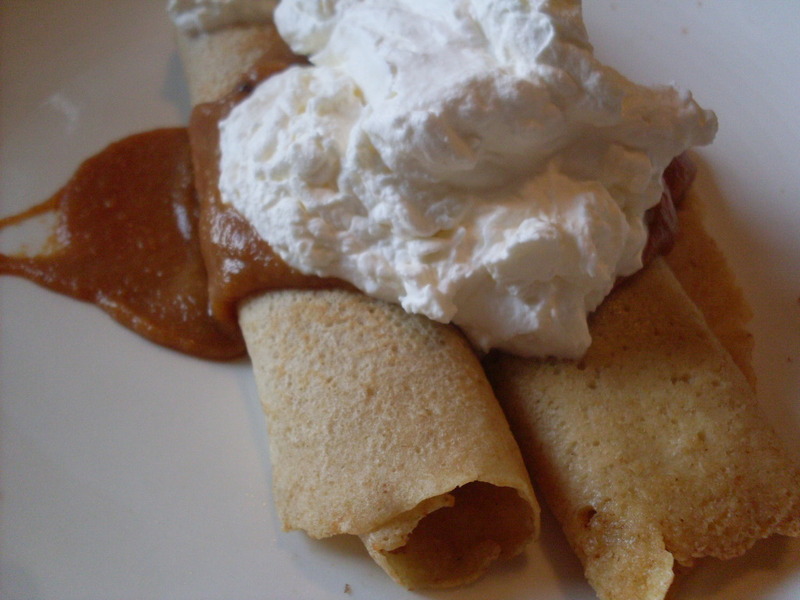 Mmmmm….toffee…..
Oh yeah, and yams are good too. There’s more and more of me to go around all the time, so not to worry!